One of the main keys to becoming a faster runner is increasing your mileage. The trick to this is increasing your mileage safely. Mileage in the running community is pretty much always measured in number of miles per week. How much can you add to your mileage without getting injured ? Suppose you manage ten miles per week now. How much mileage would you be able to handle next week? And how is that for somebody doing twenty miles? And for somebody doing thirty? Well, I will try to answer those questions in this section. You must have heard about it. The 10 % Rule. In case you haven't, I'll give a short explanation. 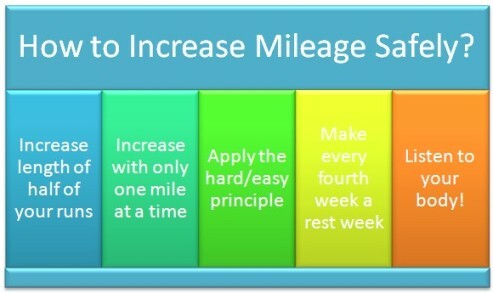 The 10 % Rule says that you can increase your mileage safely with 10 % per week. So if you are doing 20 miles this week, then next week you can do 22 miles. The week after 24.2 miles et cetera. The nice thing about the 10 % rule is, that it is easy. Easy to understand. Easy to remember. But I don't agree with it. It is too general. Imagine you are an athlete who can manage 100 miles per week. Then would you be able to do 110 miles the next week? And 121 the next? I doubt it. Those are big increases even for somebody doing 100 miles per week. Suppose you are at the other end of the spectrum and you are doing 10 miles per week now. Then the 10 % rule says you can safely increase to 11 miles the next week and to 12.1 miles the week after. 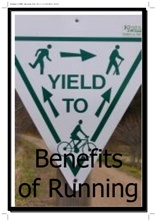 After eight weeks of continuously increasing your mileage with 10 %, you would go over 20 miles per week. Good chance this would be safe for you. But also a good chance that you'd be selling yourself short. You could probably get to 20 miles per week a bit faster than that. The 10 % rule is too general for all runners. 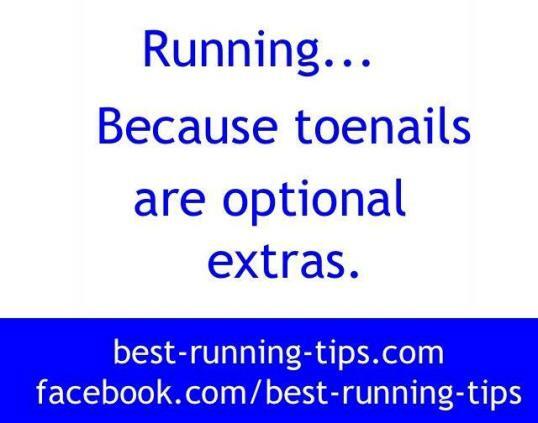 At best, I'd say it is a pretty good rule for runners doing about 20 to 35 miles per week. Still too general though. So How to Increase Your Mileage Safely? The only right answer to this question is : listen to your body and let your body decide on what you can handle. Unfortunately our stubbornness sometimes makes us neglect our body signals. That's when we fall victim to nasty injuries. 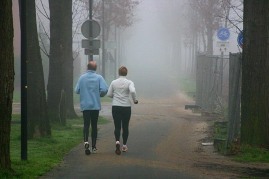 But the best way to increasing your mileage safely is see how the extra mileage affects your body. No reaction? Then continue to add on miles. But when you do get a reaction such as prolonged muscle pains, severe fatigue, joint pains or increased rest heart rate then don't be stubborn, and take a rest! I know vague stuff like "Listen to your body" is not what you want to hear. You want clear-cut answers. Well, sorry, there are not many clear-cut answers. Not in life. Not in running. There are some rules of thumb I use to increasing mileage, which I would like to share with you. 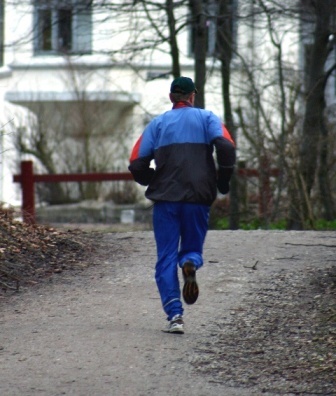 Be cautious with adding too many miles to one workout at once. You can make fantastic progress by only adding a mile at most to a workout. Done a long run once, then next time do a shorter run. Make your body work to make progress. But let your body recover as well! Every fourth week cut back your mileage to about 75 % of what it was the previous week. This gives your body a chance to recover. After a tough week, going back to 75 % suddenly seems so easy. That way, you build up your resources again and you get ready for the next few tough weeks. Build in rest weeks. You need them. Resting every fourth week might not be enough for you. Notice that you are fatigued? Then try to make every third week a rest week. See what works best for you. Sorry, just wanted to say it once more. Suppose you are doing four three-milers a week now. Twelve miles a week is a decent enough amount. But you have bigger plans and want to increase your mileage to 25 miles per week. What could your training schedule look like for the next weeks? We assume that you keep on doing four workouts every week. Increase of two miles. More than the 10 % rule, but that's fine, you are only increasing your mileage on two of your four runs. Again an increase of two miles. Again more than the 10 % rule. By the way, see the hard/easy principle starting to shape. Cut back to 75 % of your training load. Twelve miles suddenly feels a lot lighter than three weeks ago! 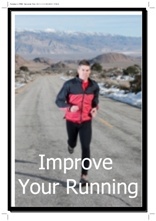 Increase one of the shorter runs so that your shorter and longer runs don't get too far apart. Again an increase in one of the shorter runs as well as in the longest run. 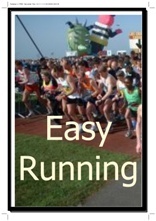 Keep in mind that your longest run can be in somewhat lower intensity than the other runs. You are trying to cover distance here, not trying to get there as fast as possible. Steadily increasing with 2 miles per week we are already doing ten miles more than six weeks ago! Again a significant cut-back in the fourth week. Give those legs a fresher-upper. 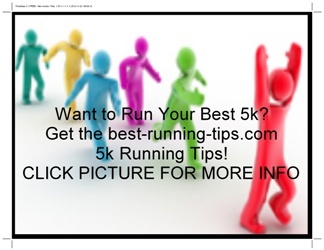 After the rest week you are fresh again and add another 2 miles to your mileage. And you have done it. 25 miles per week. Would You Be Able to Increase Your Mileage Like That? I really don't know. Maybe you need to build up a bit slower. Maybe you need to have a rest week every third week or maybe even every second week. Maybe you can only get to 20 miles now and in a few months time you can add on extra mileage. It all depends. On your legs, your body, your mind. Whatever you do, keep in mind : listen to your body ! As a last remark, when increasing mileage, you don't want to play around too much with the intensity of your runs. Don't aggressively add mileage and add speed at the same time.